Computer Cable Store™ Component Video cables are the ideal way to connect your High Definition DVD player to your High Definition TV, bypassing the TV's color decoder to provide the best image quality and clarity possible. 100 percent shielding offers protection against EMI/RFI interference, and the gold contacts ensure a clean connection every time. 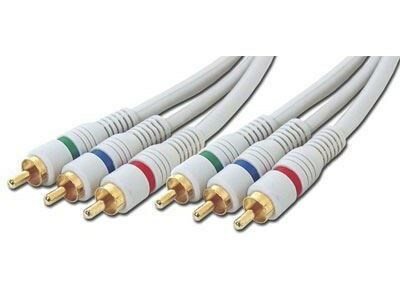 This was an excellent product and the price for the quality of the cable was great.